Welcome to DORScribe, a blog on reading the Bible with an open mind. In other words, this Bible-blog is different. As noted in Part I, John R. W. Stott was an Anglican cleric whom Time magazine ranked among the 100 most influential people in the world. 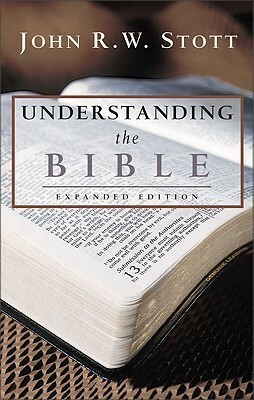 He wrote a book, Understanding the Bible, and on pages 140-143, he made three key points. The upper image is courtesy of Understanding the Bible by John R.W. Stott — Reviews, …. See also John Stott – Wikipedia, the free encyclopedia, which added – as noted – that Stott was an Anglican cleric whom Time magazine ranked among the 100 most influential people in the world. 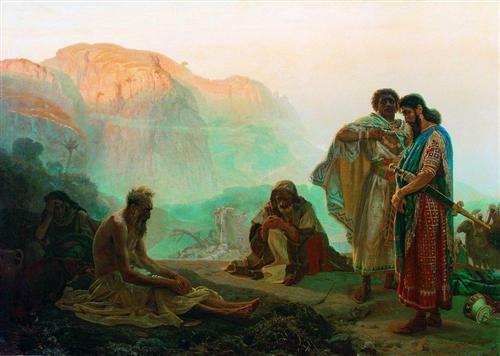 The lower image is courtesy of Job and His Friends – Ilya Repin – WikiArt.org. This entry was posted in Not your daddy's Bible on September 5, 2014 by dorscribe@aol.com. OMG! Is it time for Lent again?